To round out our series of animals on the farm, last but certainly not least are the goats. Many have made it a routine to visit them, bringing food scraps and watching with a smile as they consume nearly everything in sight. Goats are whimsical and “capricious.” Despite the debate over the etymology of that word, it seems to describe goats quite aptly. Goats belong to a genus of mammals known as capra and the word capricious refers to someone or something that is impulsive or unpredictable, subject to change on a whim. 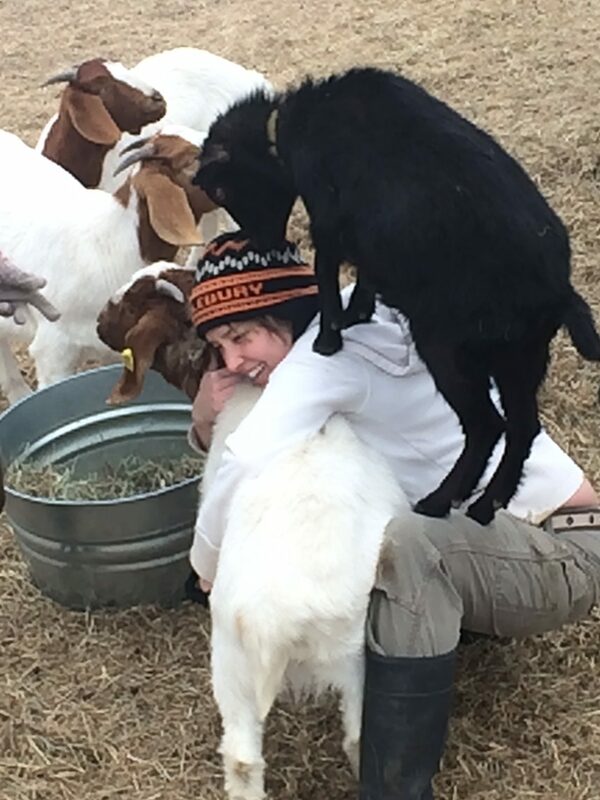 If you’ve been around goats long enough, you’d notice this to be a hallmark of their behavior! 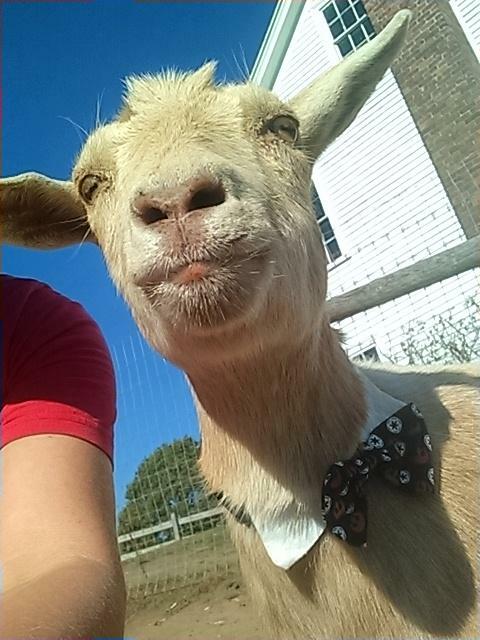 However, goats can also be quite smart and very affectionate, prone to bonding with people much like dogs. Humans partnering with domestic goats goes deep into our evolution, at least 100 centuries! From the early part of the Neolithic Age, when people began cultivating land for crops, they began tending herds of goats in the regions of Western Asia and Eastern Europe. Perhaps that’s why they are such a draw people of all ages to the farm: they speak to a deep part of being human that is relatively dormant in our society. Goats are “ruminants” and as such, have four chambers of their stomachs to digest dense, fibrous material by fermenting it in their gut. Other ruminants like sheep and cows are called “grazers,” preferring to eat grasses, while goats are known to be “browsers” who choose shrubs, trees, bushes, vines first but will also eat grasses when available. Part of the digestion process includes sending partially digested and fermented food (called cud) back into the mouth for another round of chewing in an effort to break the material down even further and extract more nutrients as it goes on to the next stage of digestion. This is why you might often see the goats chewing when they are laying down and not eating. Male goats are called bucks or billies, females are called does or nannies and young, baby goats are called kids. Male goats who have been castrated are called wethers. At Wright-Locke farm, we have four wethers and three does. All goats, both male and female, have horns. At a very young age, before their horns have developed, many goats are “disbudded” (a procedure to prevent horn growth) so that they will be less likely to harm themselves, one another or their caretakers. It is thought that horns are mainly for protection in the wild, so on the farm they are often seen as not necessary. 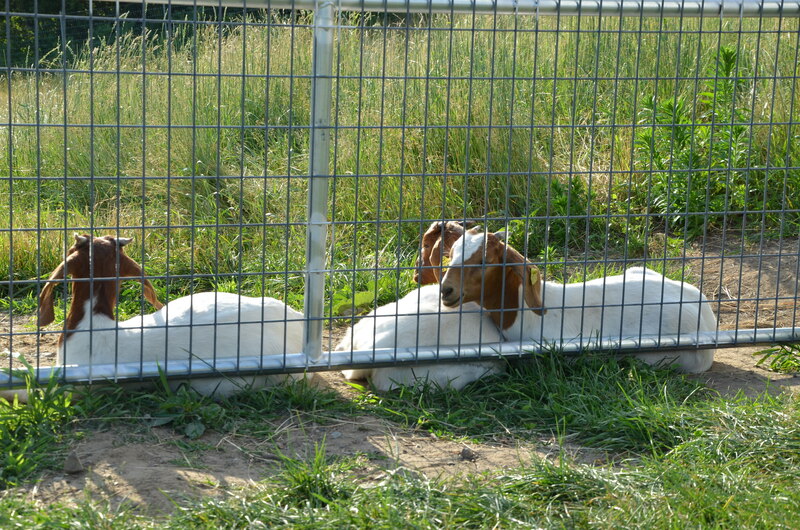 You will notice that some of our goats have been disbudded and others have not. Our goats are vital, working team members here on the farm. 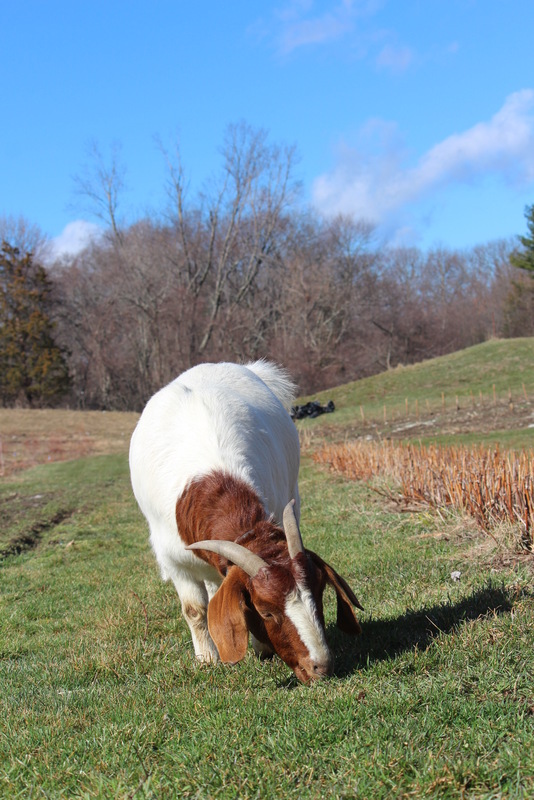 Goats are natural landscapers: their strong inclination to browse helps us prune trees and shrubs, mow grasses, and trim back overgrowth of vines and brush. 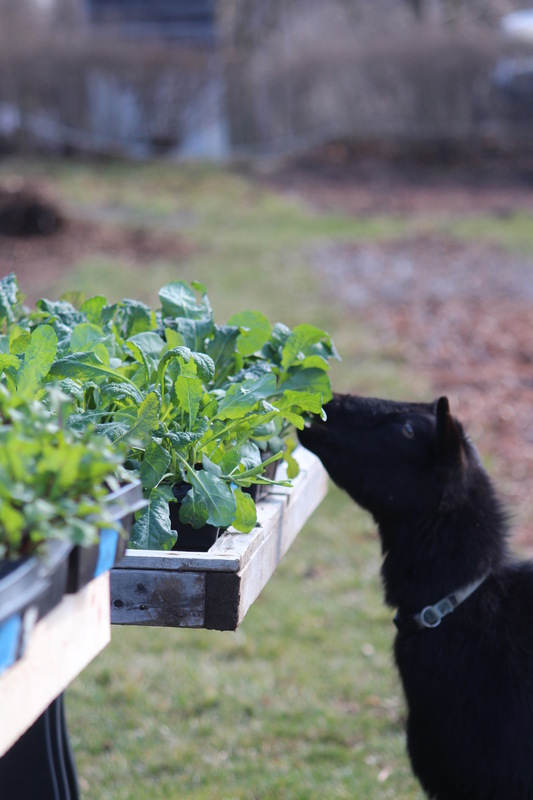 Carefully managed, browsing goats can nurture diversity and abundant growth of beneficial trees, plants and grasses including those that are good for goats to eat! As they exercise their bodies and natural instincts and consume such a varied diet, the goats keep themselves healthy and happy. 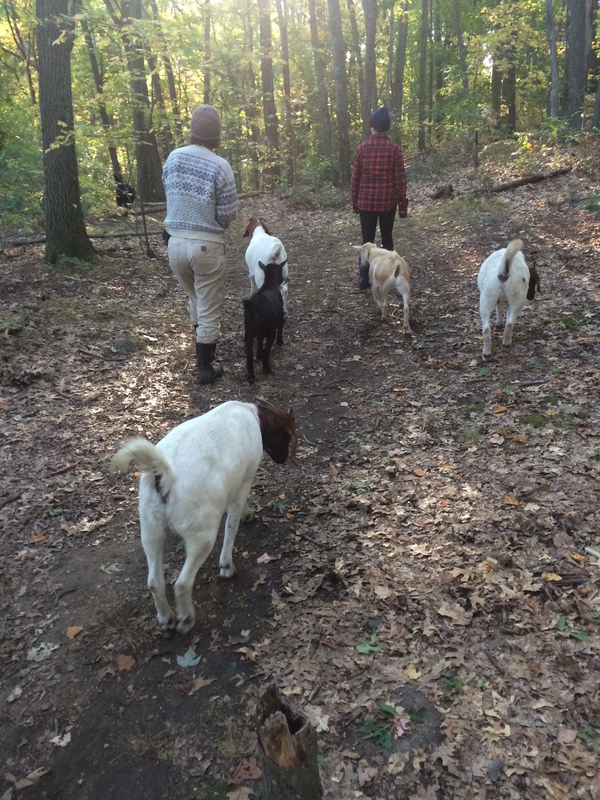 In this way, the goats help us to maintain a forested landscape that is healthy, diverse and enjoyable for all. Goats are fun to visit and feed–with care. It is true that goats are very curious and will try to nibble on almost everything, even things they should not eat like your hair, clothing, and more. We’re happy to be able to “share” our goats with the public and just ask that you follow a few important guidelines when visiting. refrain from picking growing farm crops or nearby grasses and plants to feed them. DO feed them fruits, veggies, acorns, and woody/leafy trimmings from your yard (if you don’t use chemicals). Weeping Willow is a nice treat for goats and actually aids in their digestion. 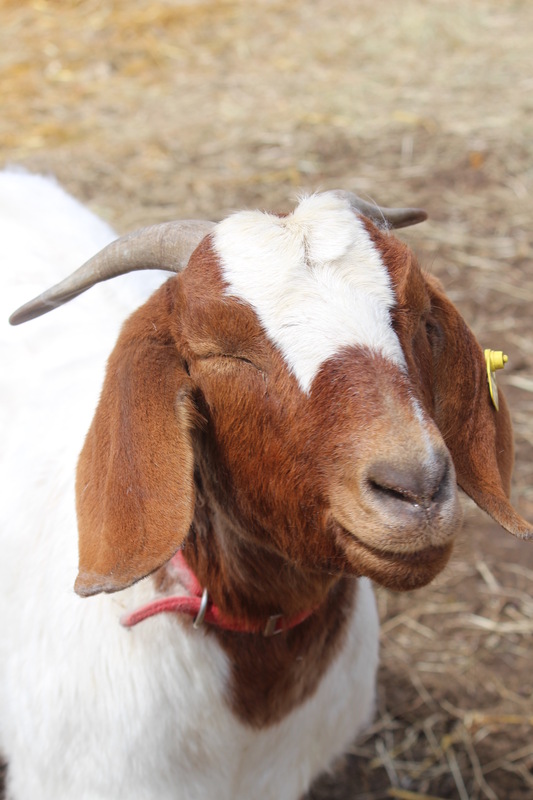 Finally, we see our keeping of goats, and all of our other non-human friends on the farm, as a way to exemplify respect for living things and humane treatment of animals. As we care for the goats properly and allow their “goaty-ness” to thrive, be honored and put to good work, the farm seeks to offer the community a clear view of what “humanely raised” look like. In this way, our animals on the farm help us to take a step towards healing the connections among humans, our food, and the vibrant, fertile, biodiverse natural heritage that is our responsibility and privilege to regenerate.